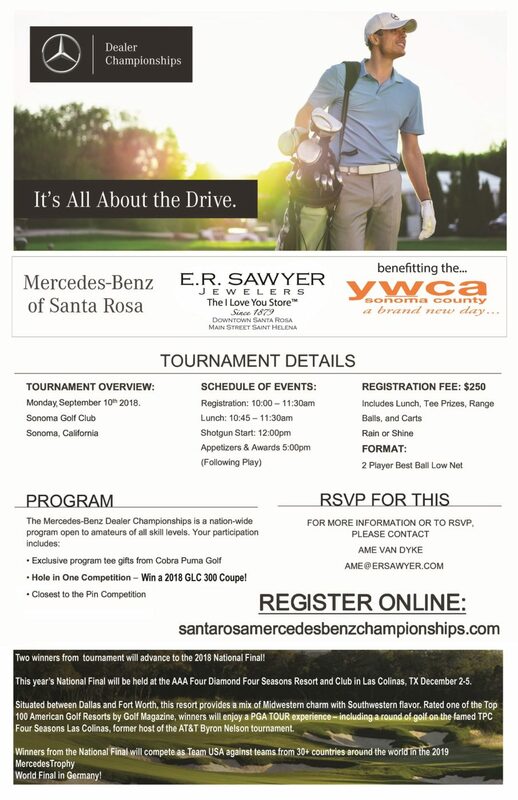 The Mercedes-Benz Dealer Championship benefit golf tournament on Monday, September 10th. You will be playing at the exclusive Sonoma Golf Club, usually only open to members. Surrounded by vineyards and the Mayacama Mountains, this golf experience is one not to be missed. The Mercedes-Benz Dealer Championships is a nation-wide program open to amateurs of all skill levels. Two winners from the tournaments will advance to the 2018 National Final at the AAA Four Diamond Four Seasons Resort and Club in Las Colinas, TX December 2-5. Opportunities for Tee Sponsorship are available for only $250 and include mentions on the website, volunteer tshirts, registration sign, the banner at the event and in the program. 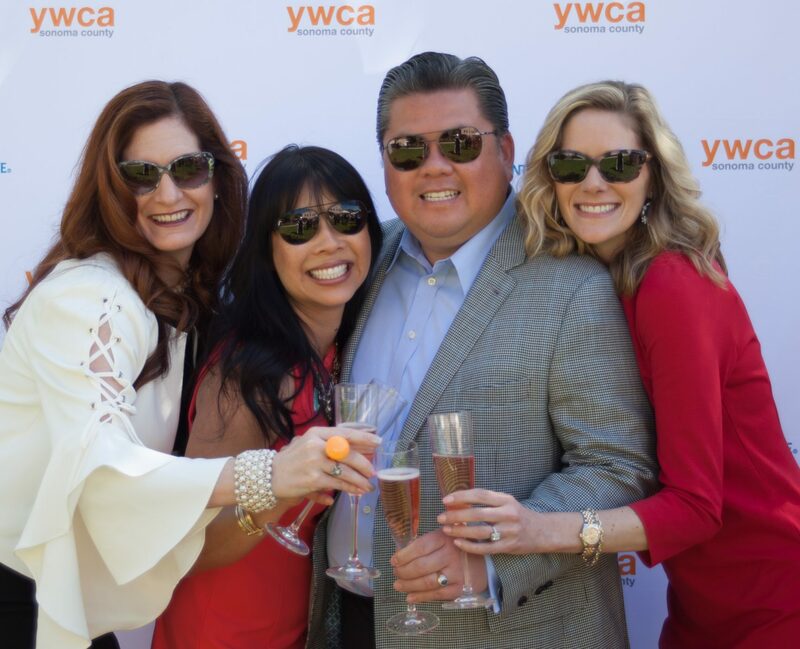 We hope you will consider sponsoring a tee and letting all the golfers know how much you love the YWCA. Please contact annemarie@ywcasc.org for more information.